Adolescent Vaccination Recommendation: Vaccination is recommended for adolescents who live in states or communities* where routine vaccination has been implemented because of high incidence of Hepatitis A, are traveling to countries with high or intermediate prevalence of Hepatitis A, or are household contacts of internationally adopted children. Routine vaccination is recommended as part of the CDC immunization schedule for children up to six years of age. *Alaska, Arizona, California, Idaho, Nevada, New Mexico, Oklahoma, Oregon, South Dakota, Utah, and Washington. 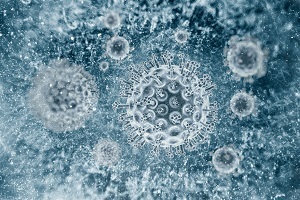 Hepatitis A is a contagious liver disease caused by the hepatitis A virus (HAV). The infection is most often spread from person to person. Because the virus is in an infected person's stool, it is possible for it to spread if the infected person does not wash his or her hands well. It can also be spread by close person-to-person contact such as household or sexual contact with an infected person, and by eating contaminated food or drinking contaminated water. Hepatitis A is the most common vaccine-preventable disease acquired during travel. High rates of hepatitis A occur in children and adolescents 5 to 14 years old who live in parts of the US where the disease is more common. The effects of HAV differ from person to person. Some infected individuals may lack symptoms but still pose a transmission risk to others. Symptoms may include yellow skin or eyes (jaundice), tiredness, stomachache, fatigue, loss of appetite, or nausea. If symptoms occur, they usually appear anywhere from two to six weeks after exposure and typically develop over a period of several days. Symptoms typically last less than two months, although some people can be ill for as long as six months. The hepatitis A vaccine is 94-100 percent effective in preventing the disease. Protection begins approximately two to four weeks after the first injection. A second injection results in long-term protection.